Do probiotics help acne? This is a question that so many people are asking. With the sheer variety of acne treatment options available in the marketplace, finding one that works seems almost an impossible task. Here we will take a look at the benefits of using probiotics and other natural and gentle, yet effective ways to clear up skin problems like acne. Probiotics are good bacteria that are found in the intestines and which play a vital role in intestinal health by controlling or limiting the proliferation of the bad bacteria that can cause diseases. But what does a good digestive system have to do with acne? According to several studies, some probiotics play a role in inhibiting the growth of Propionibacterium acnes, or the bacterium that causes acne. Furthermore, it has also been shown that probiotics help reduce oxidative stress and swelling, two factors that contribute to acne breakouts. There are several kinds of probiotics that are associated with relief from acne lesions. The most common type is Lactobacillus bulgaricus, which is typically found in yogurt. Keep in mind that probiotics do not occur naturally in food; instead, they emerge as a result of fermentation and other food processes. Several other types of bacteria that indicate skin benefits and which are also found in yogurt include Streptococcus thermophilus and Lactobacillus acidophilus. Probiotics may be taken orally, through foods such as yogurt or nutritional supplements, or topically — that is, it is applied directly on the skin. Yogurt made from cow’s milk, coconut milk, or soy milk is a popular probiotics food, and is widely available in supermarkets and grocery stores. However, health experts recommend unsweetened yogurt since sugar can trigger the release of insulin, which can aggravate acne. Skin creams and lotions that contain probiotic agents are also available commercially. These products are designed to control acne bacteria, restore the skin’s pH levels and relieve inflammation. In addition to treating acne, some skin care product manufacturers also claim that their offerings are also effective in the treatment of other dermatological problems such as yeast infections, sunburn, rashes and insect bites. Another school of thought has arisen regarding how probiotics help acne. While it may be true that probiotics help maintain intestinal health, which in turn influences skin health, many experts believe that instead of ingesting probiotic food or applying them topically, it would be more beneficial to maximize the power of the probiotic organisms already residing in the body. This can be done with the help of prebiotics or substances that act as fuel and food for the good bacteria in the colon and intestines, giving them the energy and strength to combat the growth and proliferation of bad bacteria – including bacteria that cause acne. Increasing one’s intake of fruits and vegetables rich in prebiotics is a good way to fortify the good bacteria in the intestines. 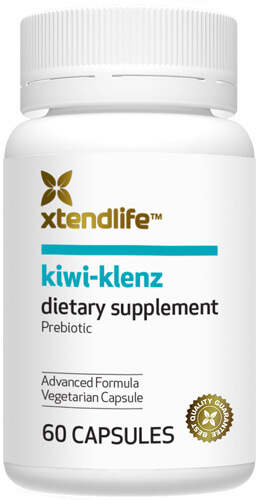 Taking a high-quality nutritional supplement that has been clinically proven to contain potent amounts of prebiotics, such as Xtend-Life’s Kiwi-Klenz all-natural food supplement, is also recommended. It is a safe and healthy way to enhance the ways in which probiotics help acne. « Can Probiotics Kill Candida?